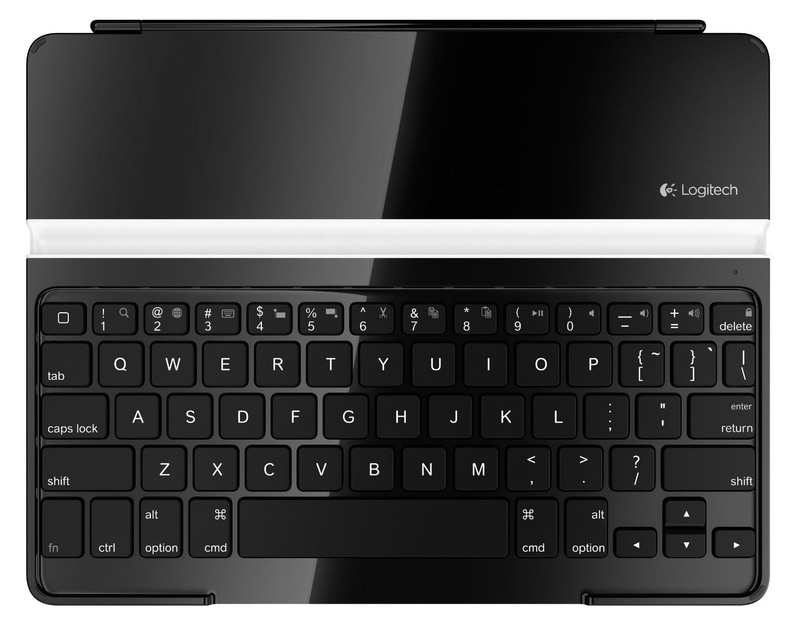 Logitech Ultrathin Keyboard has a stylish bluetooth keyboard that comes with a USB charging cable. 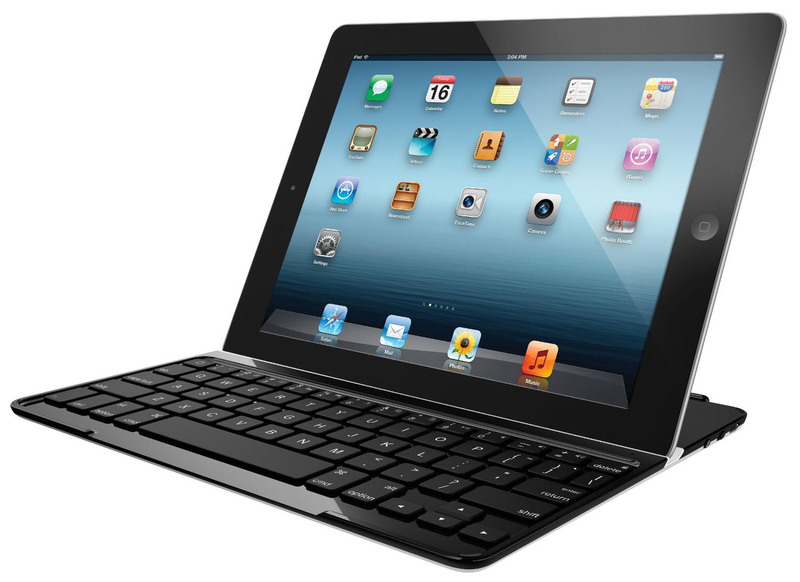 The super thin aluminum cover is 8mm thick. 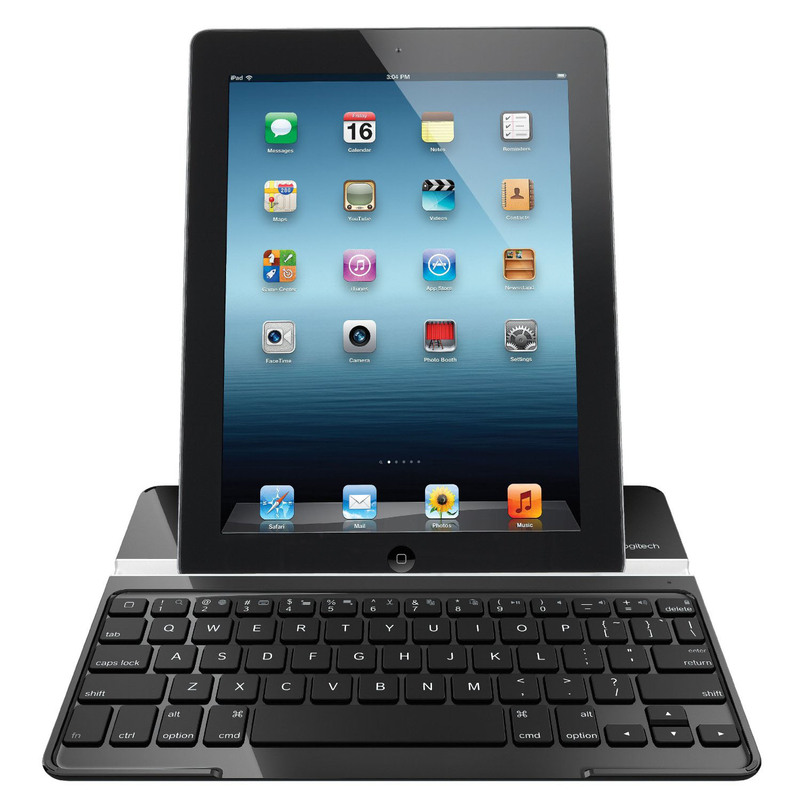 This combination of iPad + keyboard cover will compete directly with the Microsoft Surface Tablet. 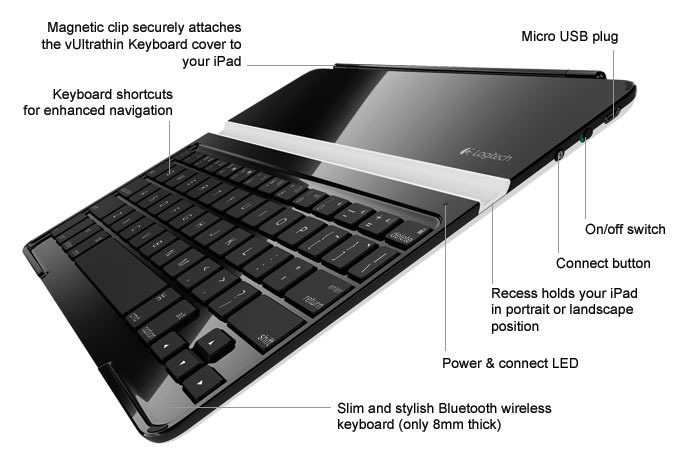 It is also a more affordable alternative to the MacBook Air if you want something lightweight but with a keyboard for typing when you travel.